PUNE (NEW DELHI): Advanced Hair Studio, world’s largest company in hair restoration and hair retention recently launched ‘AHS Fitness Program and Home Program’, an avant-garde hair care procedure in the hair care industry. These procedures matching international standard are a complete solution to hair loss problems. With these latest launches, AHS has reinvented affordability, bringing in the best to their clients here. 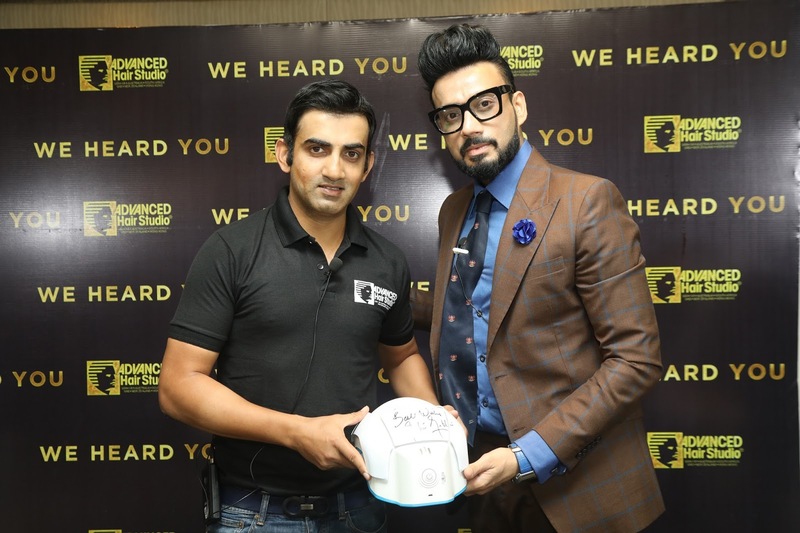 Present on the occasion was ace cricketer Gautam Gambhir, the client and brand ambassador of Advanced Hair Studio (AHS) along with Sanket Shah, CEO, MD, Advanced Hair Studio, Middle East and India Sub Continent to unveil the ground-breaking concept. AHS Fitness Program and Home Program is designed to give solutions to one’s hair loss problems at an early stage as AHS believes that prevention is better than cure. The New Advanced Hair Scalp Fitness program is a 4 months program for people fighting against hair thinning and comes with a laser devise which helps in maintaining good quality of hair. AHS Home Program is an 8 months treatment for people suffering from initial stages of hair loss and it comes with a laser helmet.